And many sectors of society and business are shifting towards more sustainable practices. The booming uptake of rooftop solar and the development of large-scale renewable projects illustrate such a shift. Experts from around the world have banded together to assess the health of the planet. University of Queensland researcher Dr Pedro Fidelman was a lead author on oceans and coastal policy for the sixth edition of the Global Environment Outlook (GEO-6), launched at the United Nations Environment Assembly in Nairobi on 13 March. “Our mission was to synthesise data, information and knowledge to inform future decisions and actions on the environment, leading ultimately to positive change,” he said. Video of the seminar I gave on “Institutional Perspective on Governing Social-Ecological Systems” at the he University of Queensland Centre for Biodiversity and Conservation Science on 29 May 2018. About the presentation: Institutions refer to formal and informal regulatory mechanisms and processes that influence how humans use and manage the environment. Examples of institutions include international agreements, national legislation, state and local policies and social norms. 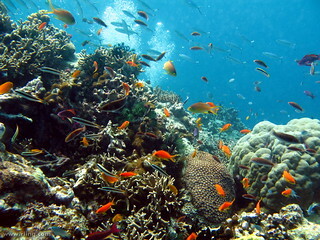 Institutions, therefore, may greatly affect the conditions of social-ecological systems (e.g., the Great Barrier Reef, Coral Triangle and NRM regions). In this presentation, I focus on the role of institutions in governing these systems. Drawing on my research on marine governance, natural resource management and climate change adaptation, I reflect on how institutions are employed in response to pressing environmental issues in Australia and overseas. I also discuss challenges and opportunities associated with the dynamic and complex nature of institutions for improved governance of social-ecological systems. I am pleased to have been appointed as a Lead Authors for the United Nations Environment’s 6th Global Environment Outlook (GEO-6). The GEO is the UN Environment flagship integrated assessment on the state of the global environment. Drawing on all the major global assessments from international science panels and UN bodies, it presents the environmental trends for air, climate, water, land and biodiversity. The assessment looks at the interactions and feedback loops between social, economic and environmental drivers to assess the effectiveness of different policy responses in moving the world onto a more sustainable pathway. The forthcoming GEO-6 report will be presented to the United Nations Environment Ministers’ Assembly (UNEA 4) in 2019. Our paper, on structural factors influencing conservation decision-making, led by Dr Milena Kim, has just been published online. It It uses the prioritisation method “Back on Track” – adopted by the Queensland State Government, Australia – as a case study to investigate the policy instruments employed to promote its uptake, and the structural factors affecting such uptake. We underscore several structural factors limiting the use of this method. These include fragmentation of policies, the relative strength of alternative priorities and centralisation of power in decision-making. We discuss the results in relation to other conservation planning initiatives and suggest how structural barriers can be addressed. My colleagues and I were honoured to win the Pete Hay Environmental Politics Prize at the 2016 Australian Political Study Association (APSA) Conference, held at the University of New South Wales, Sydney. Since 2011 the Pete Hay Prize has been awarded annually to the best APSA conference paper on the topic of Environmental Politics or Policy. I was part of an international research team that have developed a novel framework to help elucidate the different ways climate change can impact coral reefs and reef-depended societies. In a paper published in the journal Regional Environmental Change, we propose that climate impacts on coral reefs and people are like a two-way street. That is, climate impacts operate in both directions, not only from environment to people – the focus of much of the research on climate change and coral reefs to date – but also from people to environment. The “two-way street” framework emphasises how some climate impacts, such as severe tropical storms directly affect human societies with repercussions for how they interact with the environment. The framework underscores the diverse impacts that need to be considered to develop a more complete understanding of climate impacts. Climate change is a major long-term threat to coral reefs, and is predicted to affect millions of people, particularly in developing countries, who depend on goods and services (for example, fisheries, coastal protection and tourism) provided by coral reefs. Understanding the different ways in which climate change affects the environment and people, as well as how societal response to these impacts affect natural resources and the environment is fundamental in developing appropriate management actions in coral reef social–ecological systems. Our new paper “Analysing the (mis)fit between Institutional and Ecological Networks of the Indo-West Pacific” has just been published in the journal Global Environmental Change. In this paper, we develop an innovative approach to analyse the ‘‘problem of fit’’ – one of the core constraints to effective governance in Social–Ecological Systems (SES). Such problem is based on the idea that effective SES governance depends to some extent on how the characteristics of the governance system (e.g., institutional arrangements) align with the characteristics of the ecosystem it is trying to govern. Despite the importance of the problem of fit, very few studies have quantitatively evaluated such a problem. Our paper quantifies the fit between key ecological processes and the governance structures (i.e., institutional arrangements) relating to the management of these processes. This was undertaken in the context of the geopolitically and ecologically complex region of the Indo-West Pacific where we focused on coral reefs and the transboundary corridors (i.e. ecological links), and associated institutional arrangements (e.g., treaties, conventions, agreements, and memoranda of understanding) addressing marine conservation and management. We believe that our method has the potential to assist management efforts in prioritising and strengthening governance to effectively safeguard ecological processes across multiple jurisdictions. We have just published a paper titled “Mediating Science and Action Across Multiple Boundaries in the Coral Triangle” in the journal Global Environmental Change. In this paper, we use boundary work to examine how stakeholders in the Coral Triangle Initiative, an international agreement between six countries in Southeast Asia and the Pacific, are forging relations across various domains and governance levels, and the outcomes of this process. We do this in an effort to increase its relevance to multi-level environmental governance, and understand the challenges that face such governance. We are also interested in the pathways leading to policy outcomes that are perceived as salient, credible, and legitimate to all stakeholders involved in governance. The study shows that boundary work is challenged by resource inequalities resulting in limited knowledge diversity, blurred boundaries between science and politics, and misaligned scales. We conclude that boundary work has an important temporal dimension that has often been neglected, and that literature on boundary work must provide a conceptual guide to understand tradeoffs arising as a result of stakeholders’ various strategies to engage in boundary work. You may download this paper free of charge until 7 November 2014 by clicking here. In this paper, we examine stakeholders’ efforts to design and implement a marine management policies in the context of the Coral Triangle Initiative (CTI). We explore CTI stakeholders’ policy beliefs and preferences, their patterns of collaboration and trust, their access to resources and level of influence, and their views on the overall performance of the CTI. The findings suggest that the CTI is best viewed as a nascent, collaborative policy subsystem wherein there is strong support for the CTI objectives among stakeholders, convergence in policy beliefs and preferences, and instances of collaboration. However, some tensions are highlighted, which risk undermining the effectiveness and long-term sustainability of the Initiative. We argue that, as the CTI matures, it is important to maintain broad convergence in policy beliefs to prevent the formation of adversarial coalitions, and/or to avoid unilateral prioritisation of powerful global interests to the detriment of national and local priorities. Except where otherwise noted, content on this website is licensed under a Creative Commons Attribution-NonCommercial-ShareAlike 3.0 Unported License.